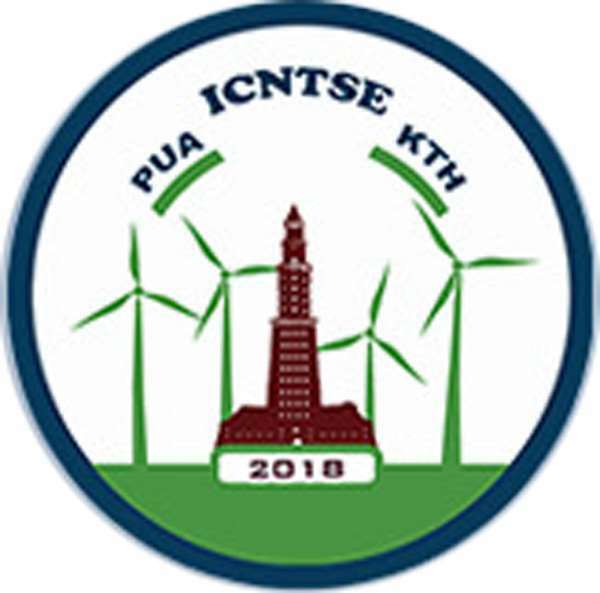 The Faculty of Engineering – Pharos University is looking forward to enriching scientific research and encouraging researchers to be more innovative and creative. 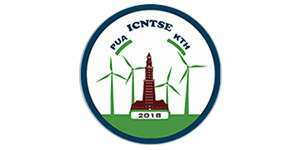 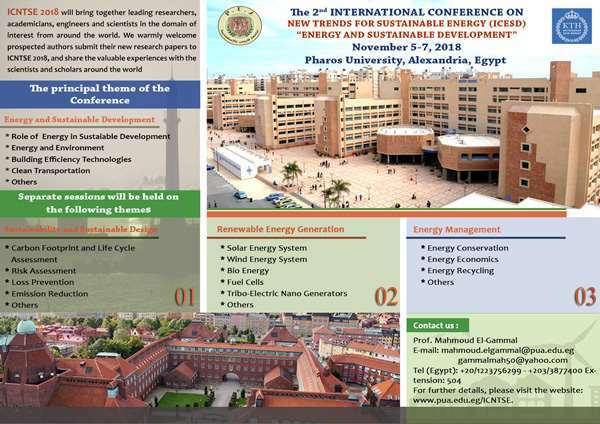 To achieve its mission and pioneering role in the development of engineering sector, the faculty of Engineering, in collaboration with the Royal Institute of Technology (KTH) at Stockholm-Sweden will organize its second international conference entitled “New Trends for Sustainable Energy” that will be held from 5 to 7 November 2018 in Alexandria, Egypt. 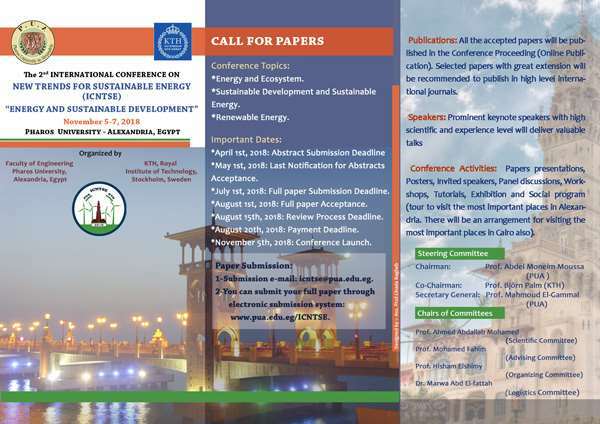 The conference outlines a vision for the future of Sustainable Development in Energy Systems based on Egypt sustainable development strategy in 2030.